A/Prof Matthew Dargusch’s research interests are in advanced manufacturing and the design and development of medical devices. A/Prof. 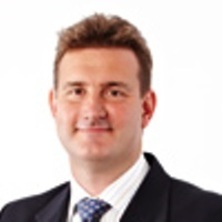 Dargusch completed his PhD in 1998, and has a strong background in working on industry-outcome focussed research. After completing his PhD, he worked in industry as a Product Development Manager with ACL. In late 2001, he was appointed as a Senior Research Fellow at UQ and in 2005 he was appointed as the Program Manager for both the Aerospace and Industry Best Practice Program Manager with the CAST CRC. During his time as program manager the best practice program received a number of awards from the Cooperative Research Centres Association for delivering industry outcomes. Associate Professor Dargusch’s work has been recognised by the star award from the CRC Association for his work with industry. In 2007 Associate Professor Dargusch was a critical part of the successful bid team for a Defence Future Capability Technology Centre (DFCTC) which became the Defence Materials Technology Centre (DMTC) with partners such as BAE Systems, Thales and many SMEs. In 2008, Associate Professor Dargusch became the Chief Technology Officer for the DMTC, a position which he currently holds. The DMTC has very strong links with Defence industry and Associate Professor Dargusch manages a cooperative research project portfolio involving over 16 projects linking industry partners with research providers and Defence. Research providers include Melbourne University, Swinburne, Deakin, UQ, ANSTO and RMIT and the University of Wollongong. A/Prof Dargusch has been successful in obtaining competitive grant funding totalling $2.95 million through the Queensland Government’s Innovation Projects Fund since 2006. He is also a chief investigator on 4 x ARC LPs, 2 x ARC DPs, 1 x ARC ITRH and 4 x ARC LIEF grants and lead investigator on 1 DEST (now DIISR) International Science Linkages Program – Australia-China Special Fund Grant. Most recently I have been awarded a Smart Future Fund RPP grant of $405,000 as lead investigator for a project focussed on the “Development of Next Generation Endovascular Grafts”(2012-2015). A/Prof. Dargusch’s primary research interests are associated with addressing the major technical challenges facing Australian metal manufacturers in order to assist them to participate more effectively in global supply chains and the development of improved medical devices. His aim is to use his research to impact the ability of Australian companies, to develop and integrate advanced manufacturing technologies particularly in the production of high value components for Aircraft, Maritime and Medical Device applications. Using engineering, biology and medicine to develop the next generation of mechanical circulatory support. Zhao, Juan, Dargusch, Matthew and Davies, Chris H. J. (2012). Microstructure and texture inhomogeneity in Ti-10V-2Fe-3Al. In Lian Zhou, Hui Chang, Yafeng Lu and Dongsheng Xu (Ed. ), Proceedings of the 12th World Conference on Titanium (Ti-2011 ) (pp. 763-766) Beijiing, China: Science Press. Reiner, J., Veidt, M., Dargusch, M. and Gross, L. (2016). Progressive matrix cracking induced delamination: A comparison of finite element modelling techniques. In: ECCM 2016 - Proceeding of the 17th European Conference on Composite Materials. 17th European Conference on Composite Materials, ECCM 2016, Munich, Germany, (). 26 - 30 June 2016. Reiner, Johannes, Veidt, Martin, Dargusch, Matthew and Gross, Lutz (2014). A computational investigation of failure modes in fibre metal laminates. In: 8th Australasian Congress on Applied Mechanics as part of Engineers Australia Convention 2014. Proceedings. ACAM 8: 8th Australasian Congress on Applied Mechanics, Melbourne, VIC, Australia, (112-121). 23-26 November, 2014. Johannes Reiner, Veidt, Martin, Dargusch, Matthew S. and Gross, L. (2013). Comparison of phantom node and extended finite element method for damage evaluation in composite laminates. In: Proceedings of the 5th Asia Pacific Congress on Computational Mechanics and 4th International Symposium on Computational Mechanics. 5th Asia Pacific Congress on Computational Mechanics (APCOM V) and the 4th International Symposium on Computational Mechanics (ISCM VI), Singapore, (). 11-13 December 2013. Zhong, Jikang, Dargusch, Matthew S. and Davies, Chris (2012). Composite modelling of a two-phase titanium alloy. In: Lian Zhou, Hui Chang, Yafeng Lu and Dongsheng Xu, Proceedings of the 12th World Conference on Titanium (Ti-2011). 12th World Conference on Titanium (Ti-2011 ), Beijing, China, (867-869). 19-24 June 2011. McDonald, D. T., Davies, A. J., Luo, P., Zhu, S. M., Palanisamy, S., Dargusch, M. S. and Xia, K. (2012). Effect of heat treatment on microstructure and mechanical properties of titanium recycled by severe plastic deformation. In: Lian Zhou, Hui Chang and Yafeng Lu, Ti 2011 - Proceedings of the 12th World Conference on Titanium. 12th World Conference on Titanium, Ti 2011, Beijing, (497-501). 19 - 24 June 2011. Luo P., McDonald D.T., Palanisamy S., Dargusch M.S. and Xia K. (2012). Solid-state recycling of titanium machining chips by severe plastic deformation. In: Zhou, L, Chang, H, Lu, Y and Xu, D, Proceedings of the 12th World Conference on Titanium. 12th World Conference on Titanium (Ti-2011 ), Beijing, China, (234-238). 19-24 June 2011. Sun, S., Brandt, M., Barnes, J. E. and Dargusch, M. S. (2010). Investigation of the cutting forces and tool wear in laser assisted milling of Ti6Al4V Alloy. In: 36th International MATADOR Conference, Manchester, Lancashire, , (255-258). July 14, 2010-July 16, 2010. Sun, Shoujin, Brandt, Milan and Dargusch, Matthew (2008). Effect of laser beam on the chip formation in machining of titanium alloys. In: ICALEO 2008 - 27th International Congress on Applications of Lasers and Electro-Optics, Congress Proceedings. ICALEO 2008 - 27th International Congress on Applications of Lasers and Electro-Optics, , , (901-909). October 20, 2008-October 23, 2008. McDonald, Stuart, Dargusch, Matthew, Song, Guangling and StJohn, David (2007). Unintentional effects of Sr additions in Al-Si foundry alloys. In: , , (59-66). .
Dargusch, M.S., McDonald, S.D., Palanisamy, S. and St John, D.H. (2007). The influence of Process Parameters during Machining of Ti6A14V Alloy. In: Materials Science Forum. PRICM 6, Jeju Island, Korea, (159-162). 5-9 November 2007. McDonald, S.D., Dargusch, M.S., Song, G. and St John, D.H. (2007). Unintentional Effects of Sr Additions in Al-Si Foundry Alloys. In: Crepeau, P.N., Tiryakioglu, M. and Campbell, J., Shape Casting: The 2nd International Symposium. TMS Annual Meeting and Exhibition, Orlando, Florida, USA, (59-68). 25 February to 1 March, 2007. Palanisamy, S., McDonald, S.D., Dargusch, M.S. and St John, D.H. (2007). Vibration and surface deformation during machining of Ti6Al4V alloys. In: K. Sadayappan and M. Sahoo, Proceedings of the Third International Conference on Light Metal Technology. Light Metals Technology Conference 2007, Canada, (279-282). 24-26 September, 2007. Hamasaiid, A., Dour, G., Dargusch, M. S., Loulou, T., Davidson, C. and Savage, G. (2006). Heat transfer at the casting/die interface in high pressure die casting - experimental results and contribution to modelling. In: Charles-André Gandin and Michel Bellet, Modeling of casting, welding, and advanced solidification processes - XI : proceedings from the Eleventh International Conference on Modeling of Casting, Welding and Advanced Solidification Processes. Eleventh International Conference on Modeling of Casting, Welding and Advanced Solidification Processes, Opio, France, (1205-1212). 28 May - 2 June, 2006. Dargusch, M. S., Keay, S., Arthur, J. and St John, D. H. (2005). The CAST Industry Best Practice Program. In: 36th Australian Foundry Institute National Conference. 36th Australian Foundry Institute National Conference, Sydney, (). 23-26 October 2005. Dour, G., Dargusch, M. S., Davidson, C. J., Nef, A. and St John, D. H. (2003). Development of a non intrusive heat transfer coefficient gauge and its application to high pressure die casting. In: A Dahle, Proceedings of the 1st International Light Metal Technology Conference 2003. Light Metals Technology Conference 2003, Brisbane, Australia, (155-160). 18-20 September 2003. Binney, M. N., Dargusch, M. S., Nave, M. and McKinney, P. (2003). Porosity reduction in a high pressure die casting through the use of squeeze pins. In: Die Casting in the Heartland - 22nd International Die Casting Congress & Exposition. Die Casting in the Heartland, Indianapolis, USA, (405-411). 15-18 September 2003. Binney, M. N., Dargusch, M. S., Nave, M.D. and McKinney, P. (2003). Squeeze pin implementation in a high pressue die casting. In: A Dahle, Proceedings of the 1st International Light Metal Technology Conference 2003. Light Metals Technology Conference 2003, Brisbane, Australia, (239-242). 18-20 September 2003. Dargusch, M., Hisa, M., Caceres, C. H. and Dunlop, G. L. (1997). Elevated temperature deformation of die cast Mg alloy AZ91D. In: G. W. Lorimer, Proceedings of the Third International Magnesium Conference. 3rd International Magnesium Conference, Manchester, United Kingdom, (153-165). 10-12 April 1996. Transforming Australia's Manufacturing Industry through High Value Additive Manufacturing (ARC Industrial Transformation Research Hub administered by Monash University).